Nestled on the verdant banks of the Gave de Pau, Appart'Hôtel Lorda offers a clear view of the Pyrenees and the Pic du Jer. An ideal location close to all amenities and the Sanctuary in a quiet and charming. 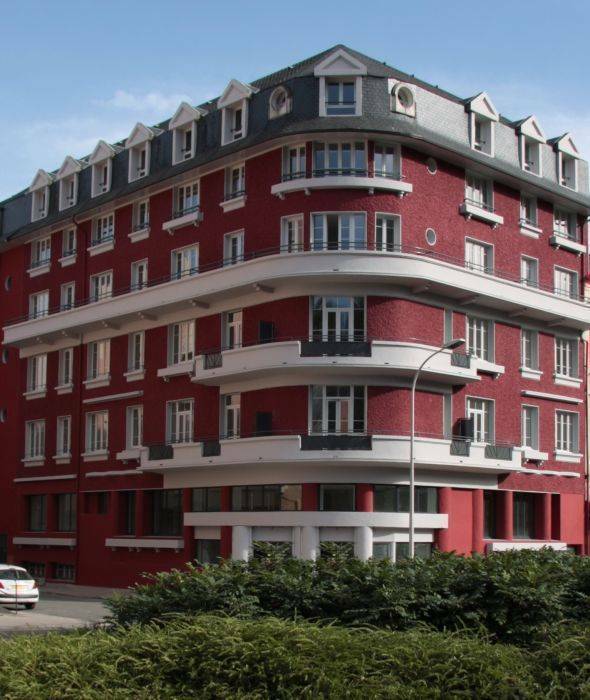 89 studios and apartments that blend in this former hotel from the 30s to the Archictecture typical of the city of Lourdes. 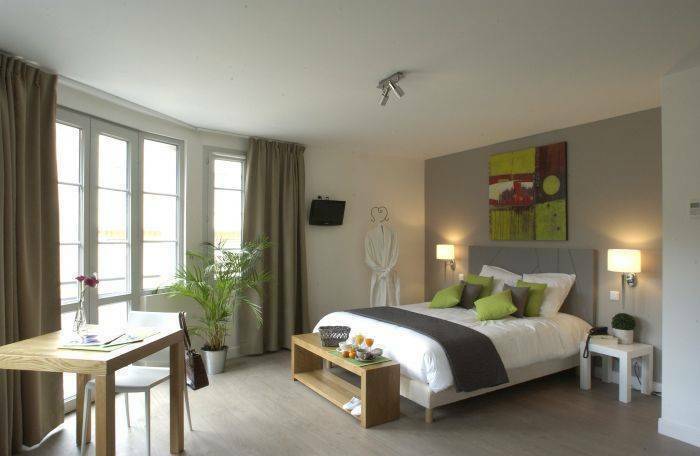 The Appart'Hôtel Lorda offers all the services necessary for the smooth running of your stay: Front 24/24, restaurant with formulas of the day and a la carte, free WIFI, free shuttle to the Shrine. 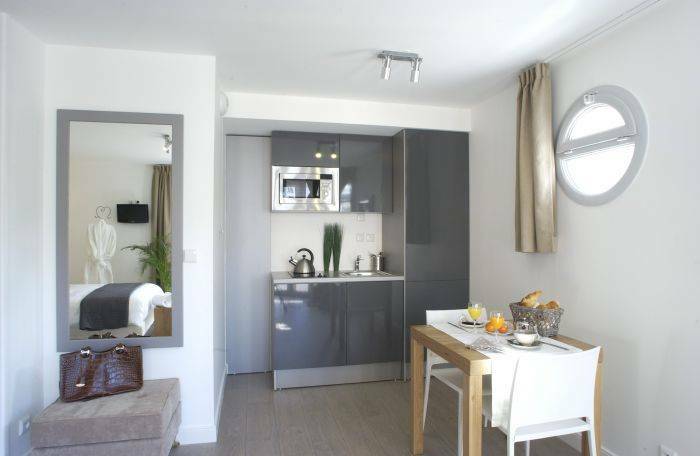 Appart'Hôtel Lorda offers studios and apartments accommodating up to 4 people, all equipped with beds and a living room sofa bed, telephone, LCD television, kitchenette, bathroom and air conditioning / heating. 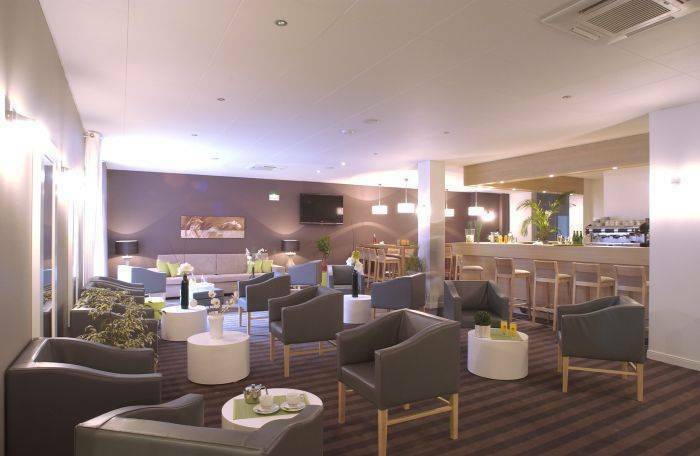 The lounge / bar is the ideal place for a drink at the end of the day and the Patio restaurant offers a terrace for fine weather. Lourdes is an international destination in the Pyrenees, with more than 5 million visitors a year. With a historical, religious and natural prestigious, the city attracts a national and international clientele of more demanding. The center of pilgrimage par excellence is also situated in a beautiful mountain scenery: the Parc National des Pyrenees, which encourages the discovery and getaways. Near the historical center and 5 minutes walk from the Sanctuary, Appart'Hôtel stands majestically on the banks of Gave de Pau. The train station in Lourdes is located 2km from the Aparthotel with direct and regular access to Citybus.